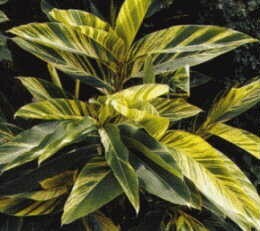 Cultural Code: HP TGH CGH what's this? 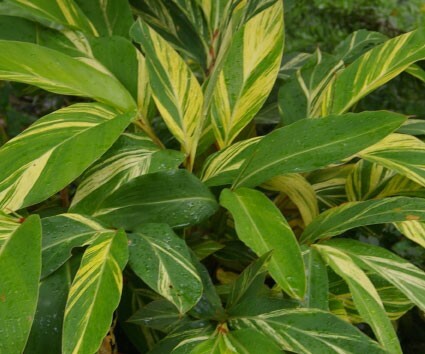 Used in China for treating infections; here for the strikingly beautiful dark leathery slim leaves striped and slashed with rich yellow. 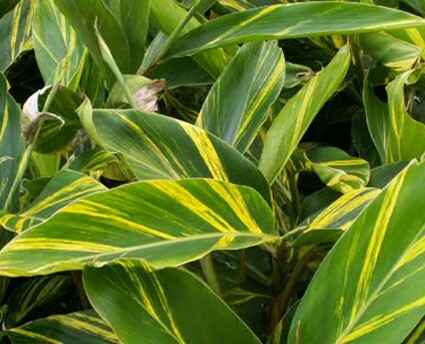 This "Variegated Shell Ginger" constitutes a very handsome evergreen gradually clumping plant tolerating adverse house conditions--where, unlike its Zingiber cousins, the foliage is maintained year round. 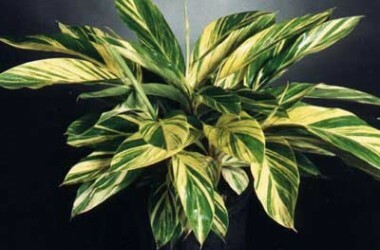 Certainly one of the most dramatic Gingers for decorative impact in your house or patio displays. 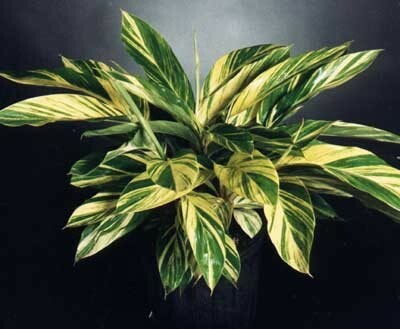 Excellent choice for adding dramatic slashes of gold to your container designs for the summer, especially as mature stalks end with weeping pendant clusters of shell pink blossoms.